Here is a great place to hang out and meet new people. 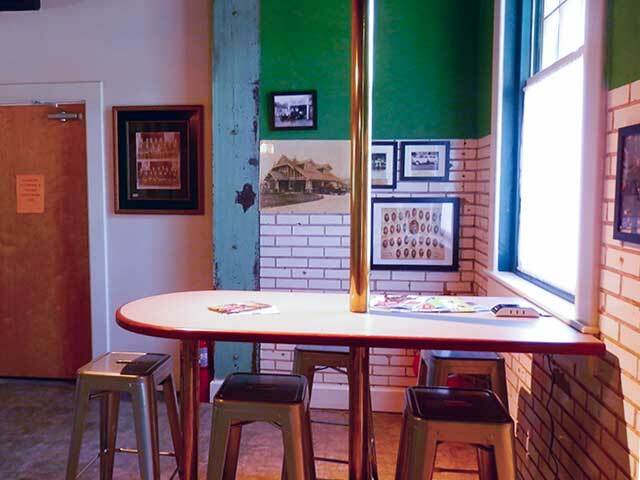 This table gets support from a re-purposed fire pole. We have coffee and tea available anytime. 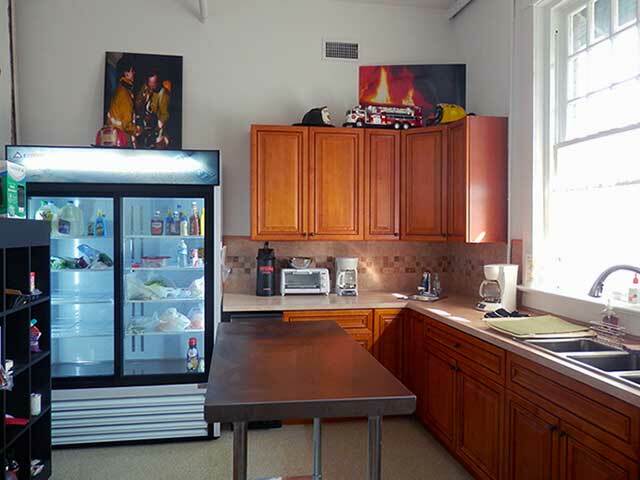 Our kitchen is available for you to use. Built in 1917, HI Little Rock Firehouse Hostel & Museum is the renovated old Fire Station #2, a beautiful Craftsman-style building located in historic MacArthur Park in downtown Little Rock, Arkansas. 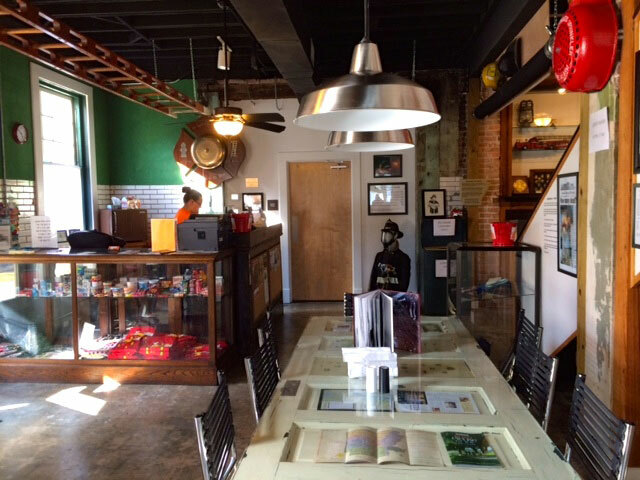 HI Little Rock Firehouse Hostel & Museum is a 36-bed hostel that also doubles as a museum of firefighting history and memorabilia, and promotes fire safety. It is the first international hostel in Little Rock, and is managed by Hostelling Arkansas, Inc., a nonprofit which has been working to preserve and renovate the building since 2006 through a creative partnership with the City of Little Rock, which owns the building. All beds are twin-size bunk beds. We have a women’s dorm with 6 bunk beds (12 people max), men’s dorm with 7 bunk beds (14 people max), an accessible room with 3 bunk beds (6 people max), and an ensuite room with 2 bunk beds that will hold 4 people. Prices are $28/night plus tax for any bunk except the ensuite Private Captain’s room, which are $34/night plus tax. Tax is 11% and is included in your price. Once checked in, guests will have 24-hour access to the front door and their room via their key card. Please note that from 10:00 AM-3:00 PM each day, the museum may be operating and hostel staff will be cleaning and doing chores to keep the hostel running smoothly. 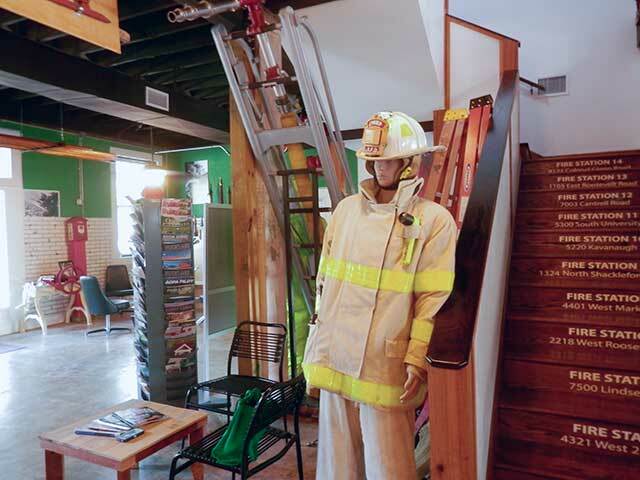 HI Little Rock Firehouse Hostel & Museum is staffed around the clock. Our staff is happy to help travelers with answering questions about the city, places to go, things to do, not-to-be-missed attractions, bars, events, etc., as well as information about activities and local business partners. Structures in the MacArthur Park Historic District range from simple residential cottages to formal, high-style mansions, and includes historic churches and schools. The history embodied in MacArthur Park Historic District’s structures, the rich variety and distinctiveness of its architecture, the lush green open spaces, the tree-lined streets, the human scale, and the visual continuity combine to make the historic district truly remarkable. 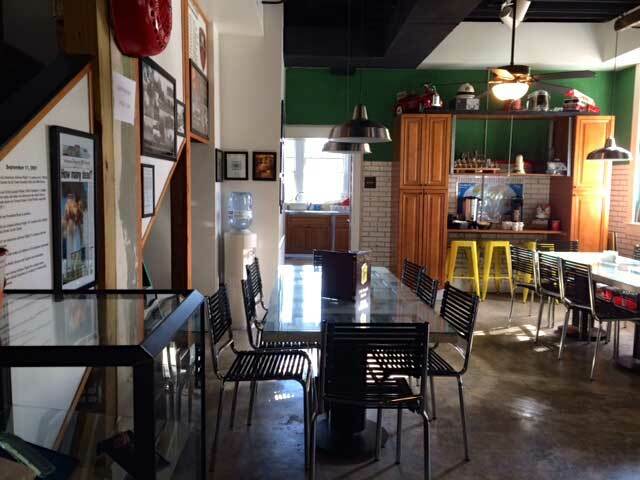 The Hostel is centrally located in downtown Little Rock and is within historic MacArthur Park, directly behind both the Arkansas Arts Center and MacArthur Museum of Arkansas Military History, one block west of Interstate 30 near Interstate 630. We offer free off-street parking. The hostel is only a 10-minute taxi cab, Uber, or Rock Region METRO bus ride from the Bill and Hillary Clinton National Airport, a 10-minute ride from the local Amtrak station, and a 5-minute walk from Rock Region METRO’s River Cities Travel Center at East Capitol and Rock Streets. Rock Region METRO’s Route 20 serves the airport and stops on 9th Street near Commerce Street, three short blocks from the Hostel, every hour. Route 6, which goes to and from the Travel Center, stops directly in front of the Hostel every 40 minutes. KEY CARDS – This is your access to the building and your room! Please return the card at checkout. Lost or damaged cards incur a charge of $10. NO PETS–Service animals only. There are too many fire hydrants here that would be tempting. NO SMOKING – inside the building or the surrounding park per city ordinance. BEHAVIOR – Offensive language and/or disruptive behavior is unacceptable. Please be considerate of other guests. COMMON AREAS & KITCHEN FACILITIES – Please clean up after yourself and do not leave personal belongings common areas. Hostellers are responsible for washing all dishes, pans, utensils, and any equipment that they use. FOOD & BEVERAGES – are only allowed in common areas. They may be stored in the kitchen. Water is allowed in sleeping quarters. NO SLEEPING BAGS or BEDDING – Use of provided hostel linens only. To conserve energy, we only provide daily sheet and towel service by guest request. NO ILLEGAL DRUGS/NO STEALING/NO FIREARMS – This is strictly prohibited in the hostel as well as the surrounding park. MAXIMUM STAY OF 14 DAYS – To better meet our mission as a nonprofit organization that supports travel and cultural exchange, no guest may stay at the hostel for more than 14 consecutive nights at a time but may return to stay additional days at a later date. Interested in contributing to the Firehouse? We have many ways that you can help out. We are proud to be recognized as an Airbnb Superhost!